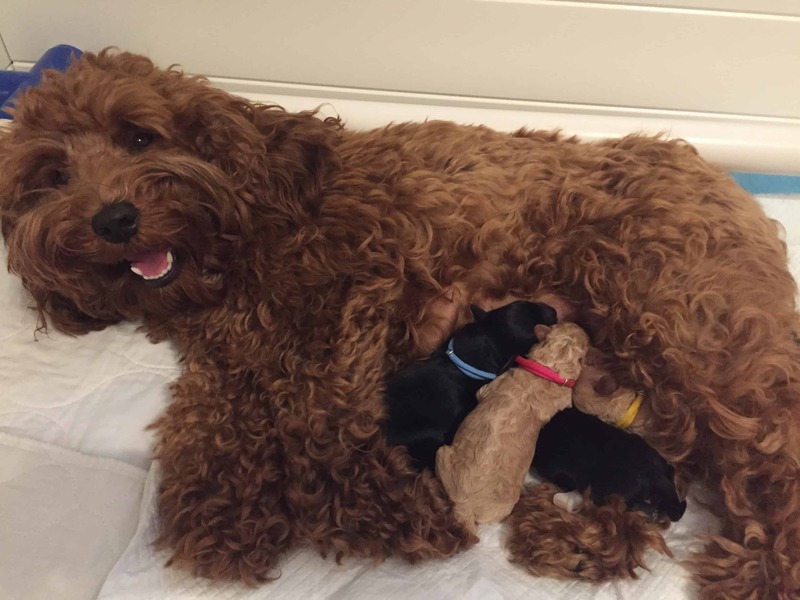 We’re excited to announce that Caiya delivered 4 awesome mini multi-generational Australian Labradoodle puppies on April 15, 2019. 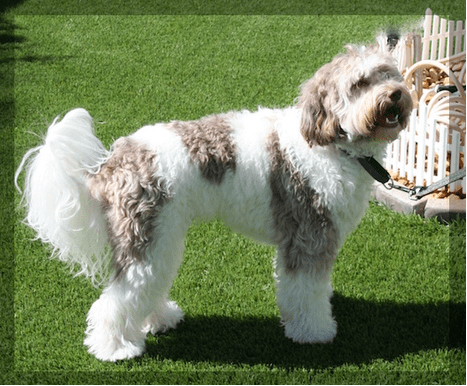 The puppies are cream and black colored, some with white markings. 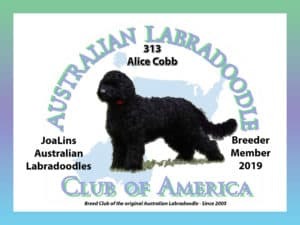 Caiya, the momma, comes from a long line of exceptional Australian Labradoodles that have just amazing pups in both color and temperament and the stud, Lord Beckett, is a real sweetie who produces just gorgeous puppies. These cuties will be approximately 20 lbs when full grown. 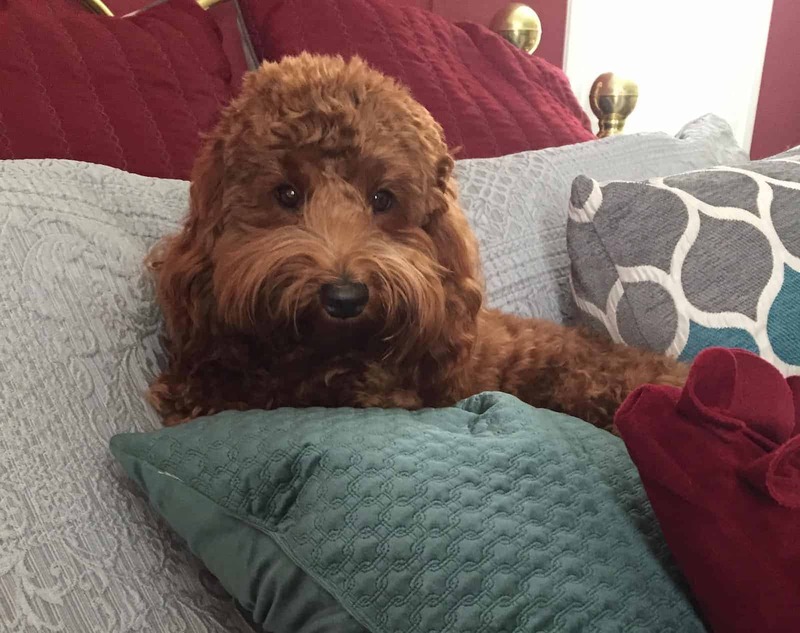 These pups are already stealing everyone’s hearts! They will be ready to go to their new homes around mid June. More information and pricing can be found by clicking here.